GoPro Studio do a remarkable job: Perfect video editing function. The following condition will be the big trouble. When you trip to Hawaii and take many beautiful video with MXF, now you want to do something with video on GoPro Studio. However, when GoPro Studio meet MXF file, all the features are out of operation, why? The only reason is that MXF can't be supported by GoPro Studio, what a pity. So wonderful video editor, will you miss it? Thankfully, a MXF video converter can be your video saviour, which can convert MXF to GoPro Studio supported video formats, I think this way is the best and safe. Following will show you the good MXF Video Converter and simple steps to convert MXF to GoPro Studio supported video formats, hope to help you. 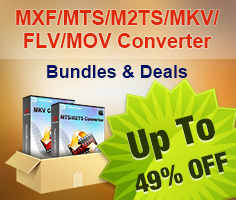 There are many MXF video converter on the market, I recommend one for you: iMixMXF (Windows) which is a professional MXF tool, you can not only import MXF footages, also you can input other video formats, like: MP4, MKV, MOV,etc. At the same time, you can convert MXF to other formats for better editing in GoPro Studio, such as: H.264 MP4, MOV which are suported by GoPro Studio. 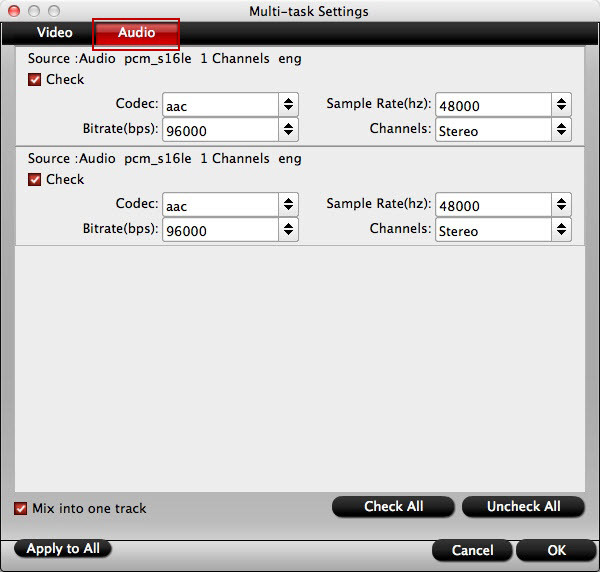 Best of all, you can keep original tracks and channels or mixing multi tracks into one. 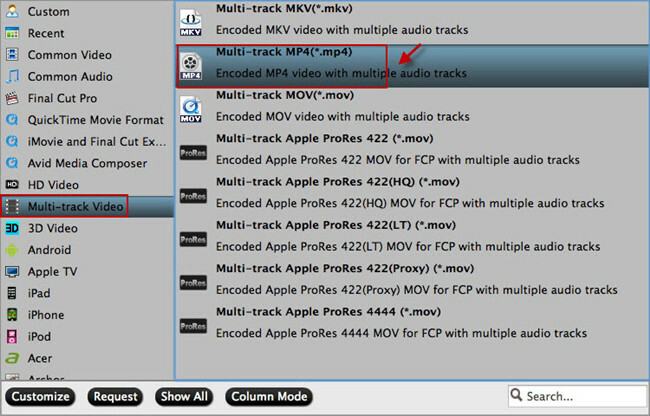 Except GoPro Studio software, you also can choose FCP, FCE, iMovie, Adobe Premiere or other NLE programme for MXF video editing. What's more, this software is stable, you can convert multiple MXF files at one time with multiple cores and multiple threads. No any interruption. Want to know more? this article will be useful. This software is easy to install, at the same time, you can choose Trial version firstly which is freee. 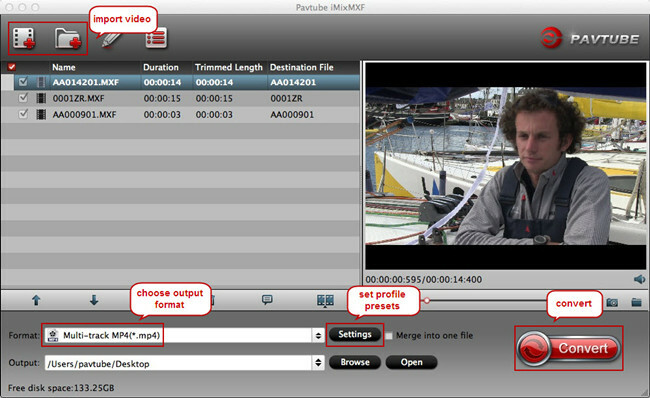 Then open the MXF video converter, hit the "Add video" button to import single MXF files. You alos can create a folder which can hold many MXF files, then click "Add from folder" to add the whole MXF folder for batch video conversion. From the GoPro Studio official data, H.264 MP4 is the best compatible video format, in this software, you can output multi-track MP4 video, just do like this: Click "Format" and select "Multi-track Video> Multi-track MP4(*.mp4)", so easy. TIP: You can enter “Settings” menu to adjust the video and audio parameters, such as: video codec, bitrate, size and frame rate, etc. The finial output video is decided by you. Exciting step is coming, go back to the main interface and click "Convert" button to start the magic MXF to H.264 MP4 video conversion, the time is short. By the way, when you are waiting for the result, you can enjoy the video at the preview window. Is it easy? Just 3 clicks, a complicated problem is solved. Just enjoy the happy MXF editing in GoPro Studio. Any other question when you are using this software, you can contact the service people. Good luck to you.